Three of use went after whitefish in my friends boat today. We all had a good time, weather was prefect. Jim had the hot pole today. Every time I looked around he had a fish on. We brought back 41. 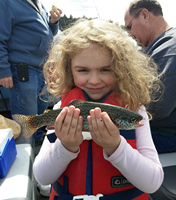 The hot bait today was a hot pink fake salmon egg. The largest fish was 22". Wow - a whitefish report! Dont see those very often. 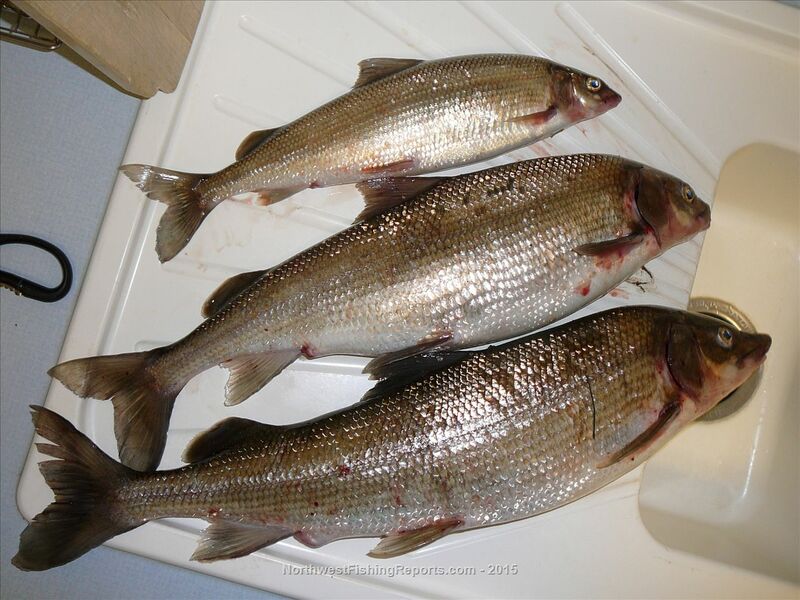 I got interested in whitefish earlier this year after catching one by accident at Banks. They fight really well and taste good too. How and where were you targeting them if you dont mind me asking? We drifted from Whitefish Island to the power lines in 20' of water, above the Vernita Bridge. The best time to do catch these whitefish is when the salmon start spawning. These fish come into the area to feed on the salmon eggs. We used artificial soft plastic salmon eggs on a #6 hook. Hot pink was the color the fish wanted that day. Can anyone recommend a place to fish from the bank? I've seen people fishing on the road side of the river underneath the power lines, the ones closest to the bridge. It will be hard to fish now because of all the water being released by the dam.